The Auditor has contracted with Integrity Appraisal Services of Youngstown, Ohio, to perform the appraisal of all properties. The project has started and is projected to last into the spring of 2020. Ohio law requires that all County Auditors conduct a county-wide reappraisal every six years. Ashtabula County’s last reappraisal was effective for tax year 2014, collection year 2015. The process has now begun for the next reappraisal, which will be effective for tax year 2020, collection year 2021. The lengthy reappraisal process involves a physical viewing of each property to ensure as much accuracy as possible in regard to placing a fair market value on a property. “With nearly 80,000 parcels in Ashtabula County, this is a huge project and one which greatly benefits our county,” shared Auditor David Thomas. Appraisers may personally visit individual properties to update and verify data but will visually look at every parcel. All municipalities and authorities will be notified during this process to ease the concerns of residents and business owners. Appraisal vehicles will be marked with signage representing the Ashtabula County Auditor’s Office and each appraiser will be identifiable by an official Ashtabula County Auditor Identification Card. Once the appraisals have been completed, public outreach will occur to ensure accurate and consistent valuations prior to tax bills being sent. 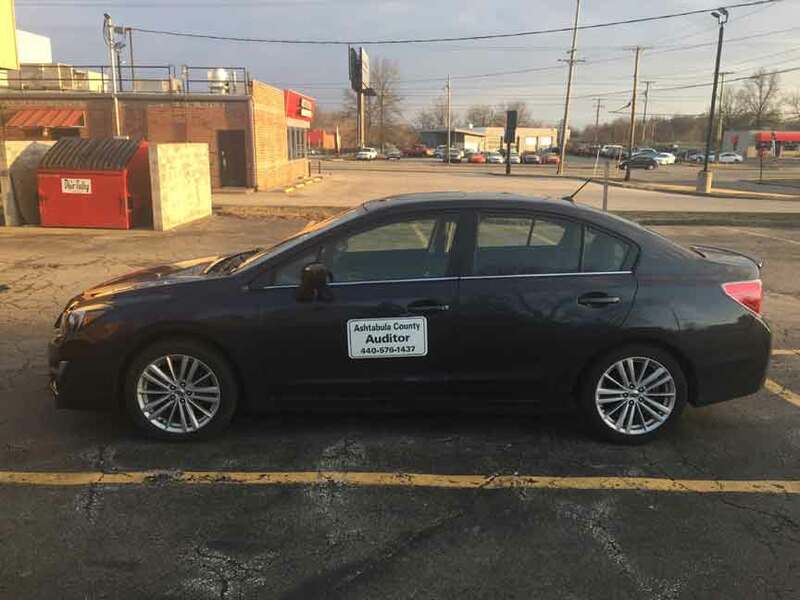 Pictured is an Integrity Appraisal Services vehicle with authorized magnets. The cars will be on the roads during the reappraisal.